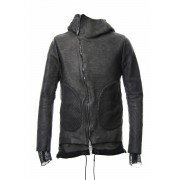 -Chrome tanning 1 mm thick horse leather was used. 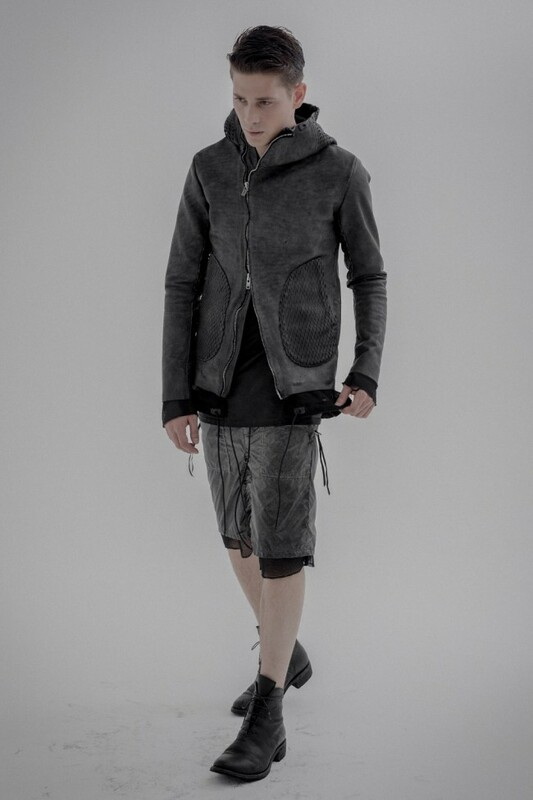 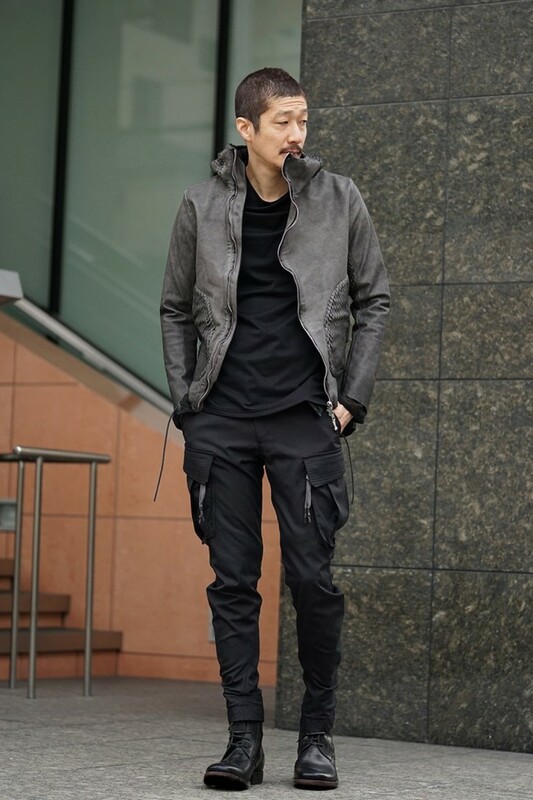 -Cold dyeing was applied to the item to create a strong sense of unevenness. 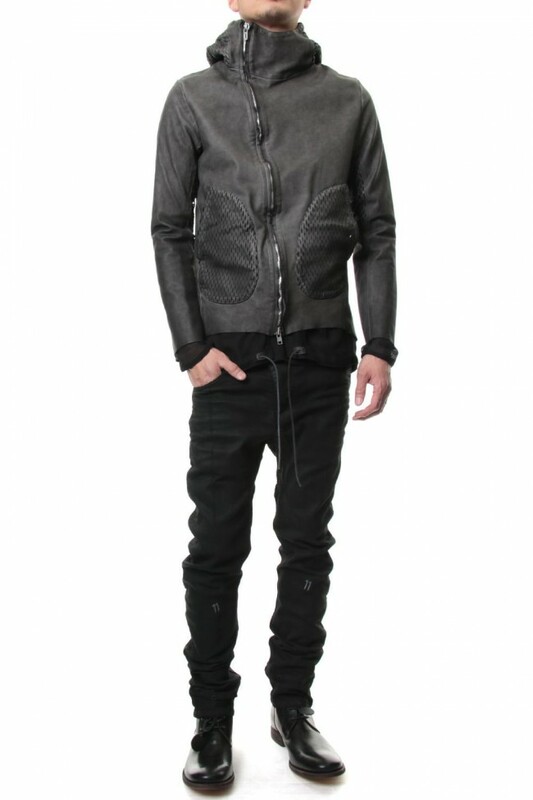 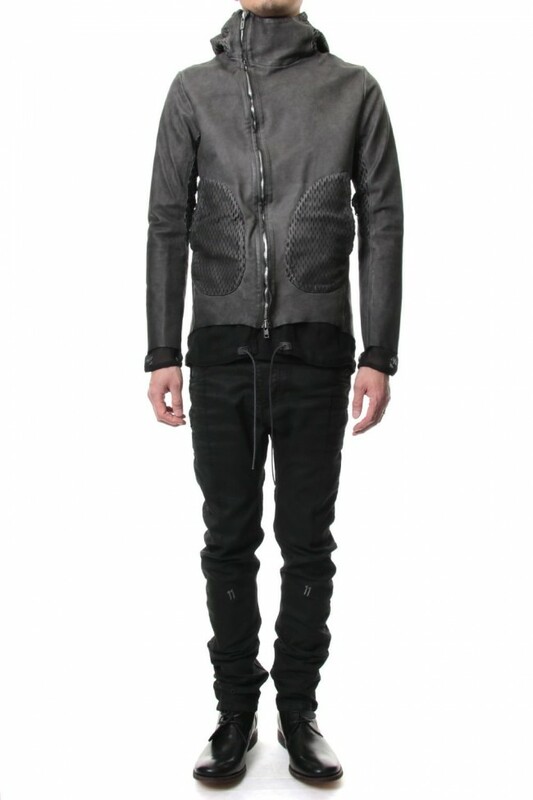 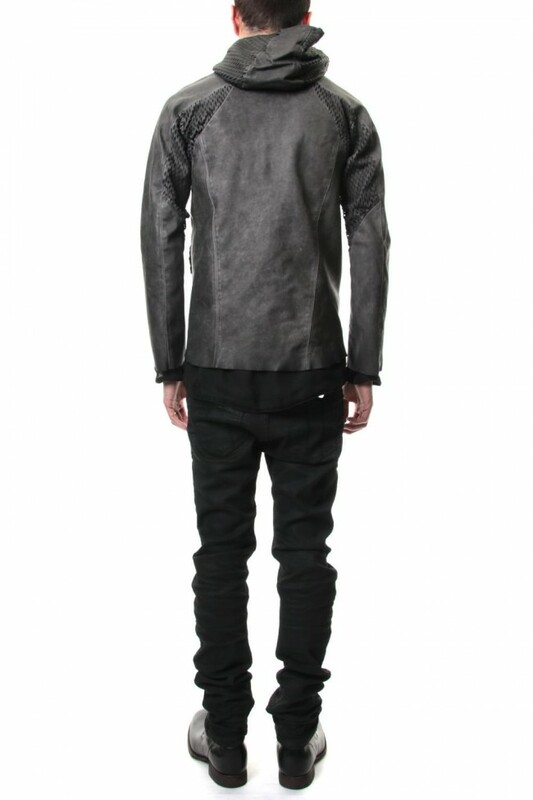 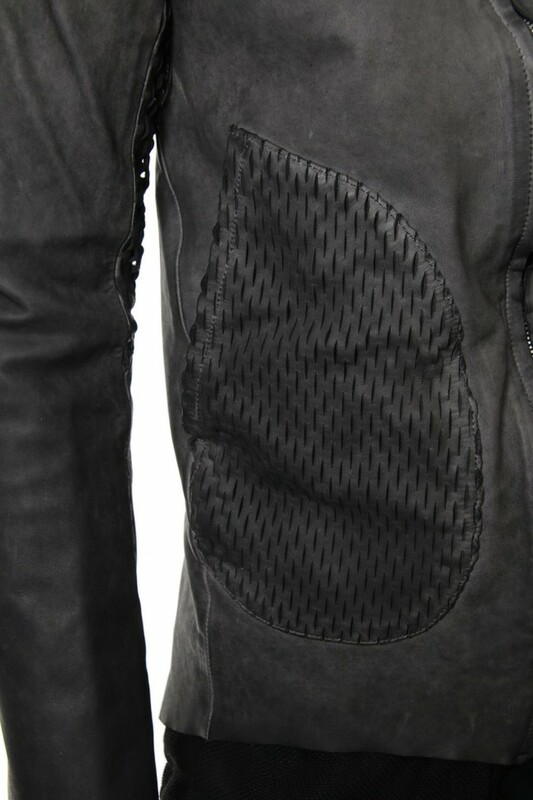 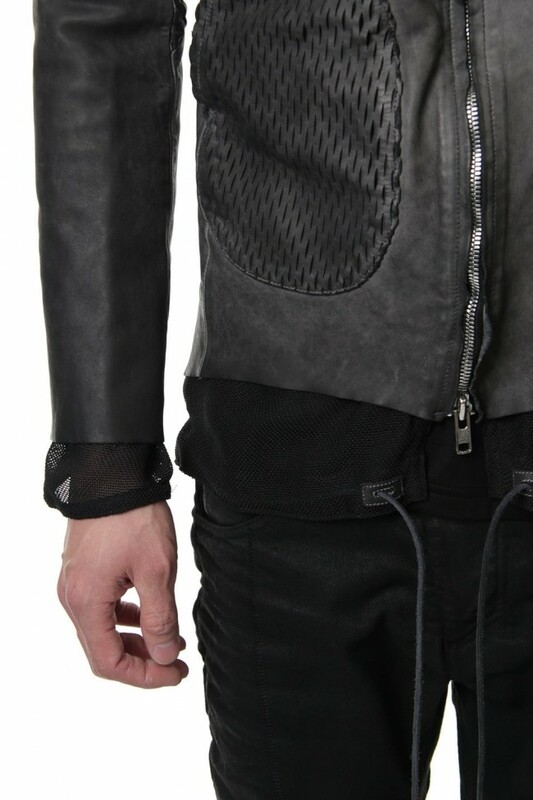 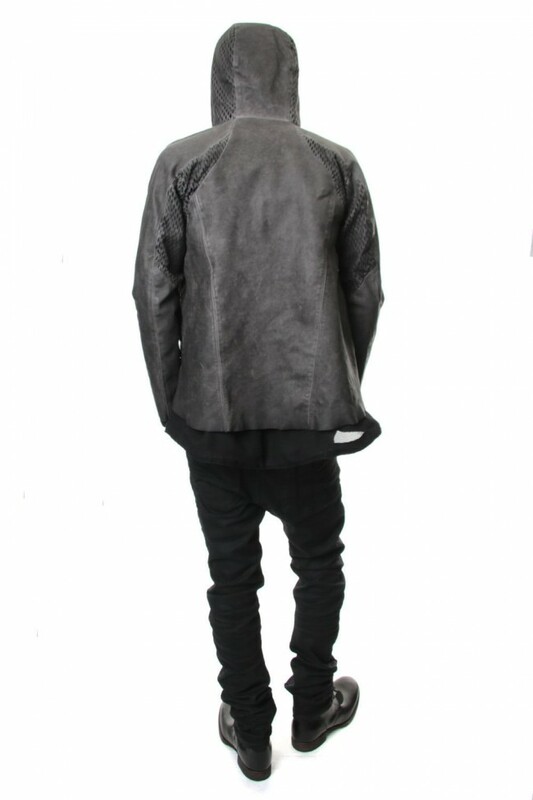 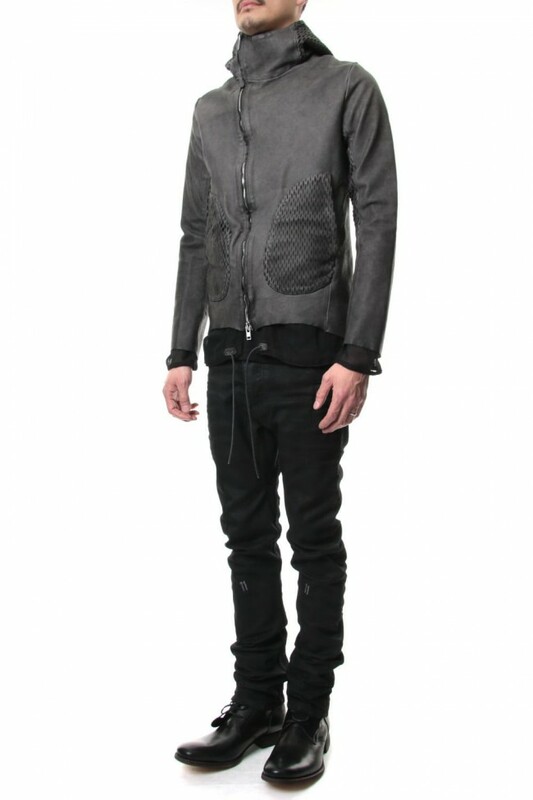 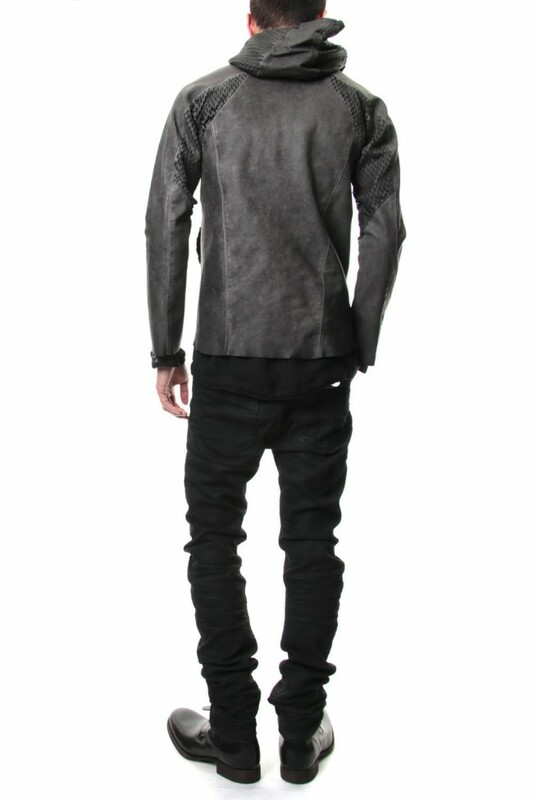 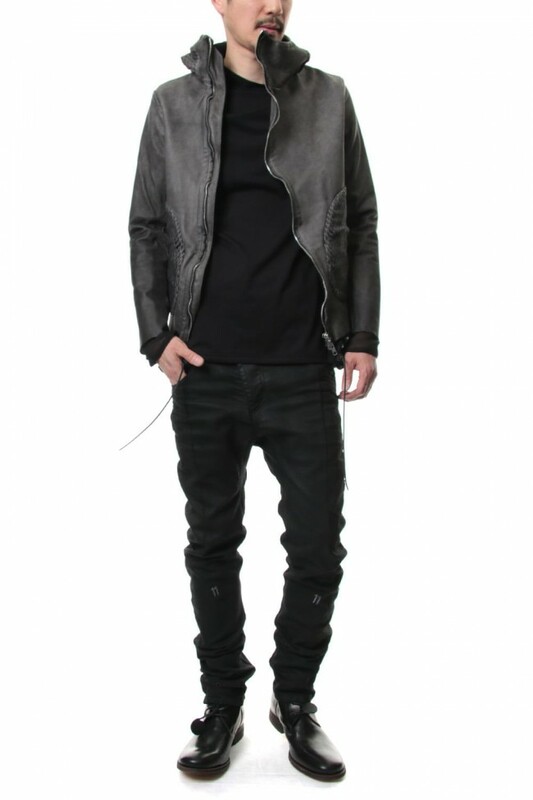 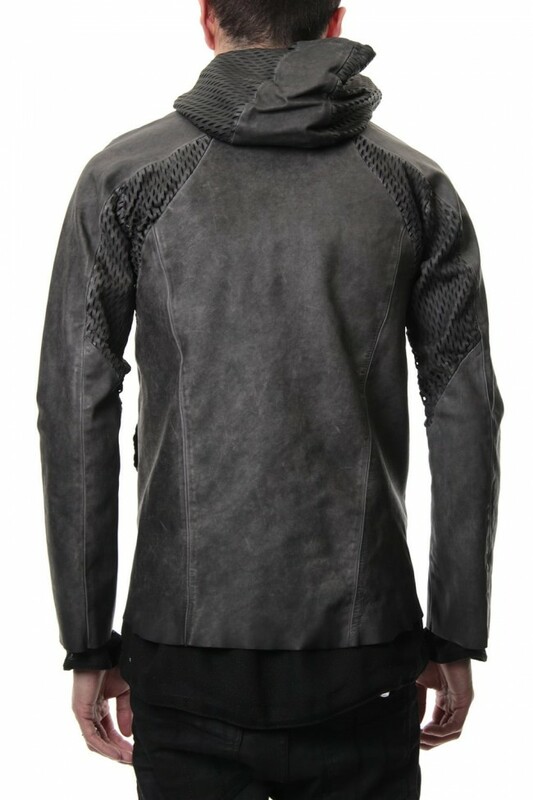 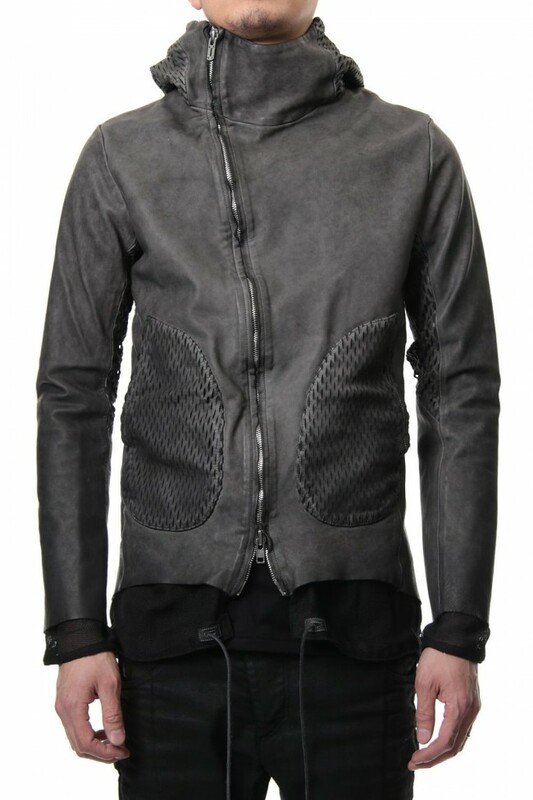 -Made with partially slit punched leather, it has breathability and stretchability. 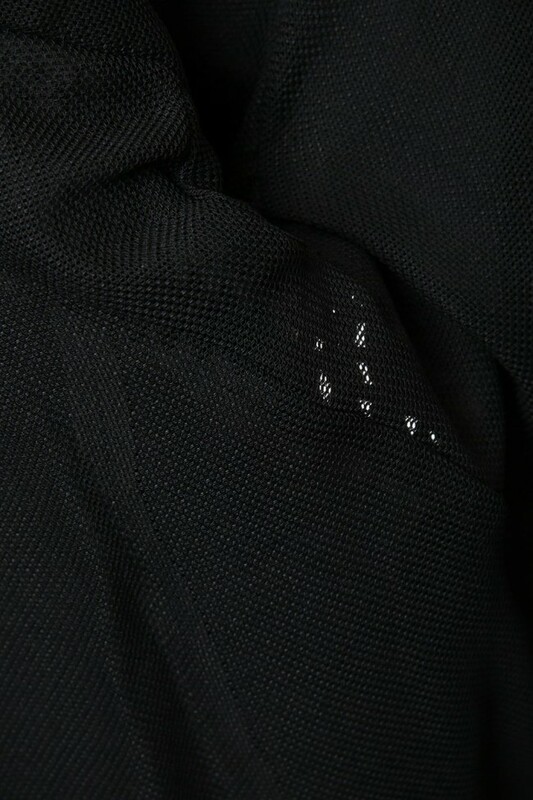 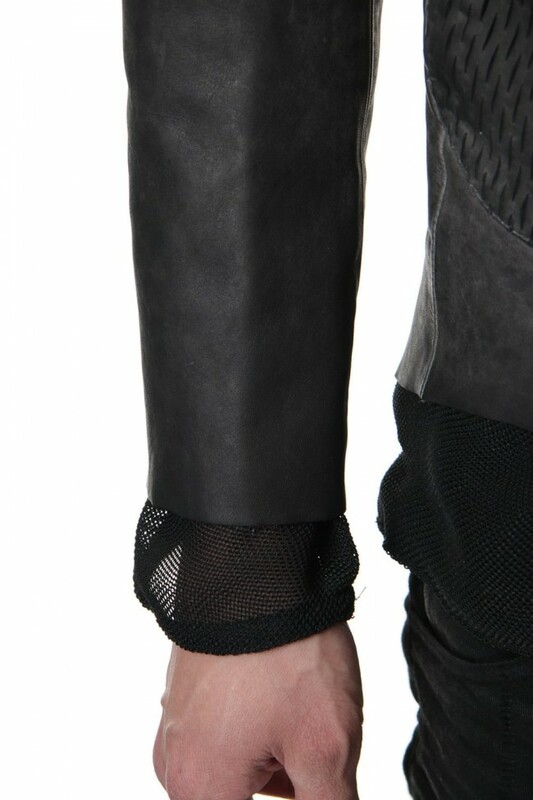 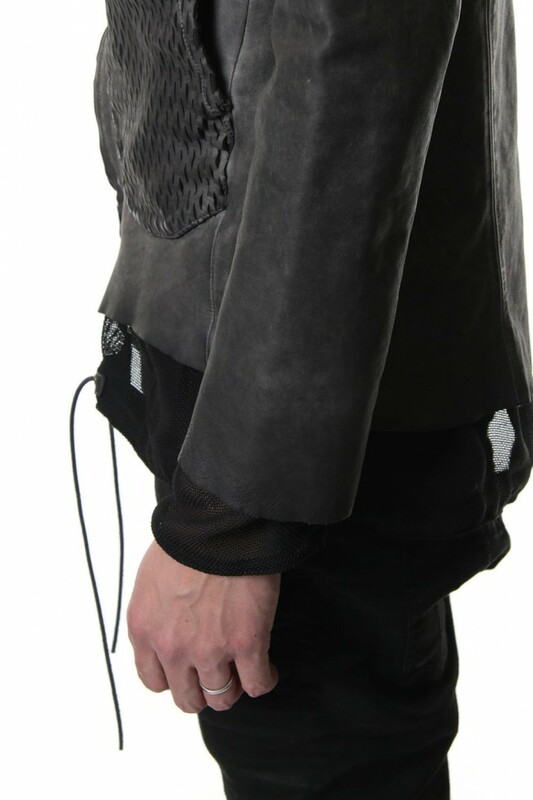 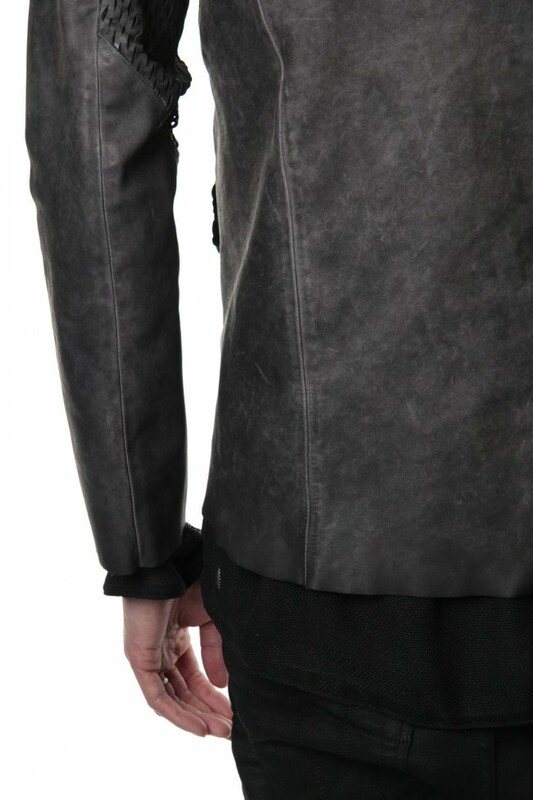 -For the lining, it was made with a woven mesh to give breathability for spring and it is layered on the hem and cuffs. 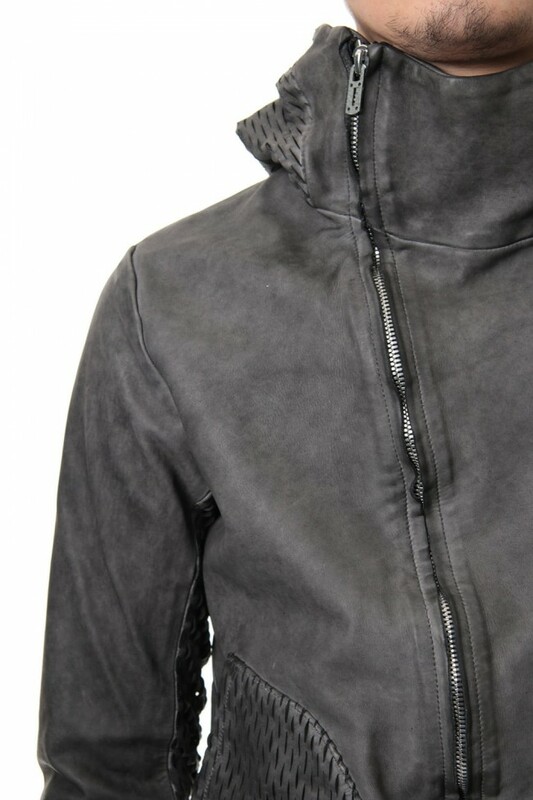 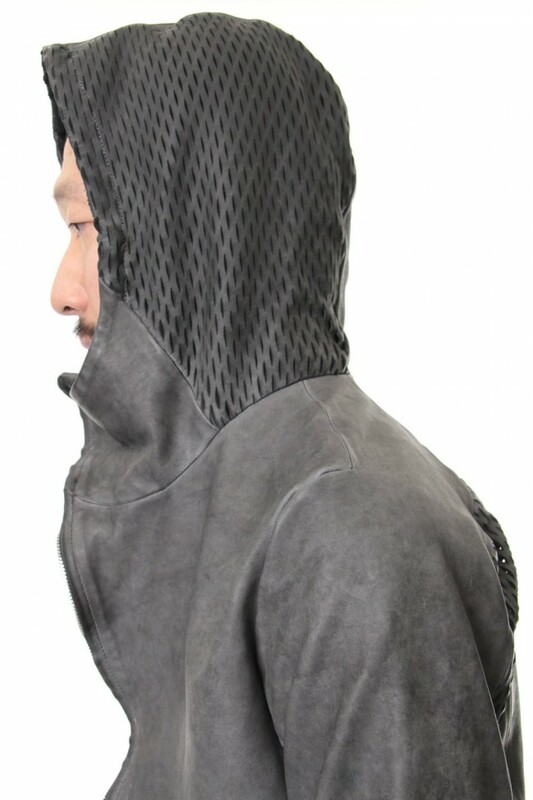 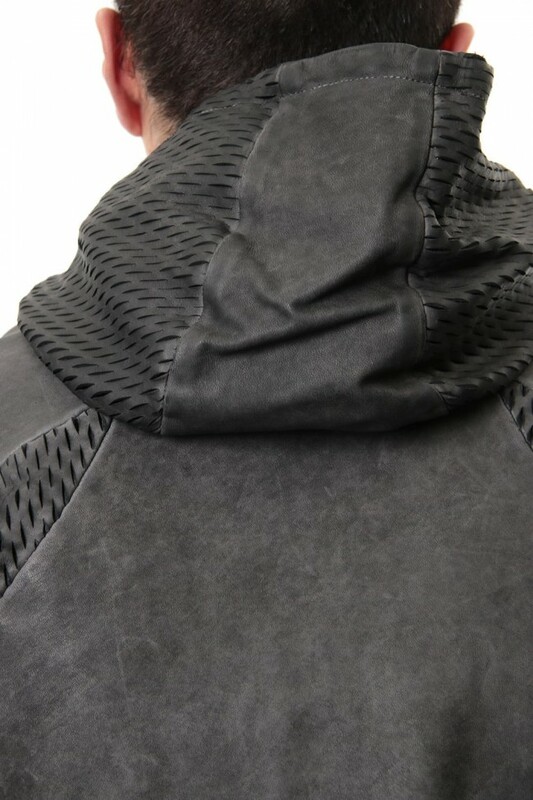 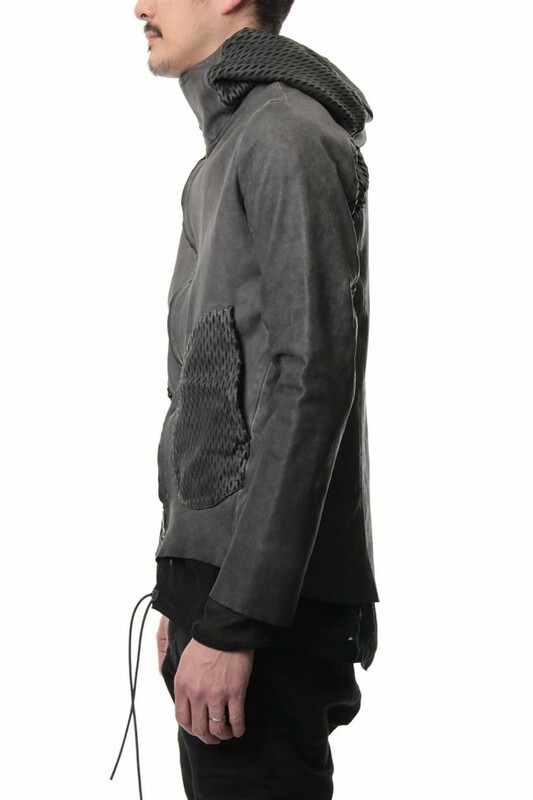 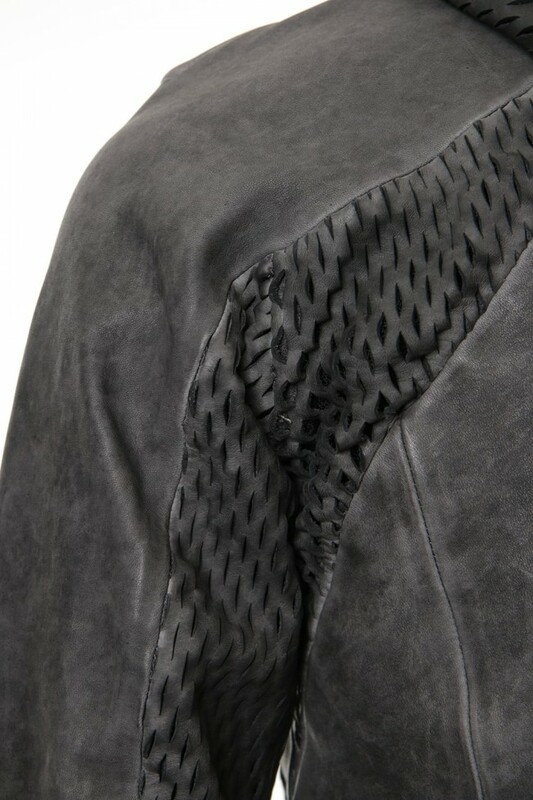 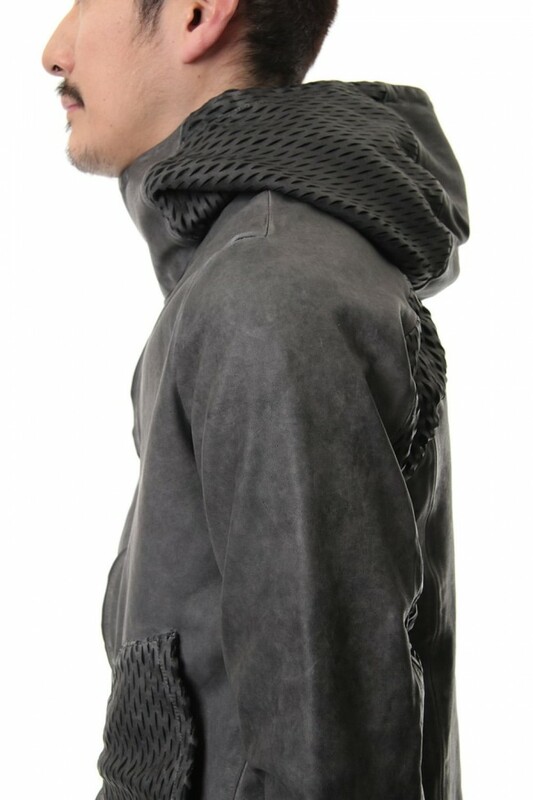 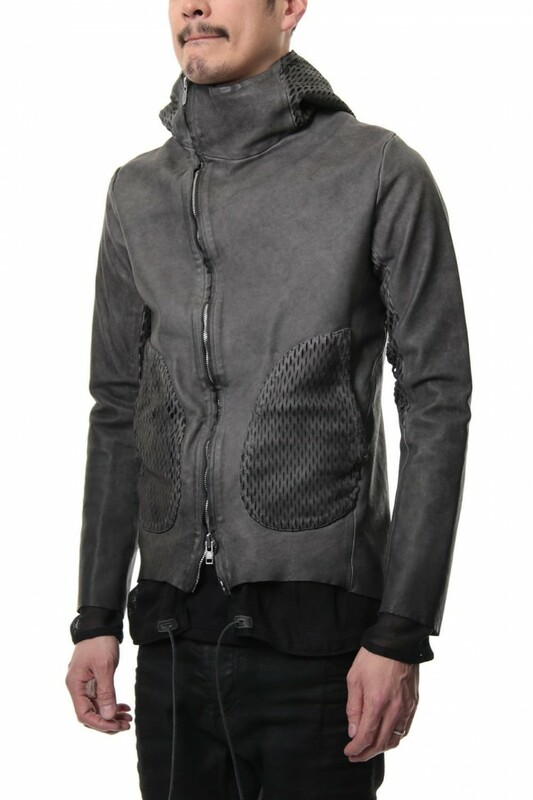 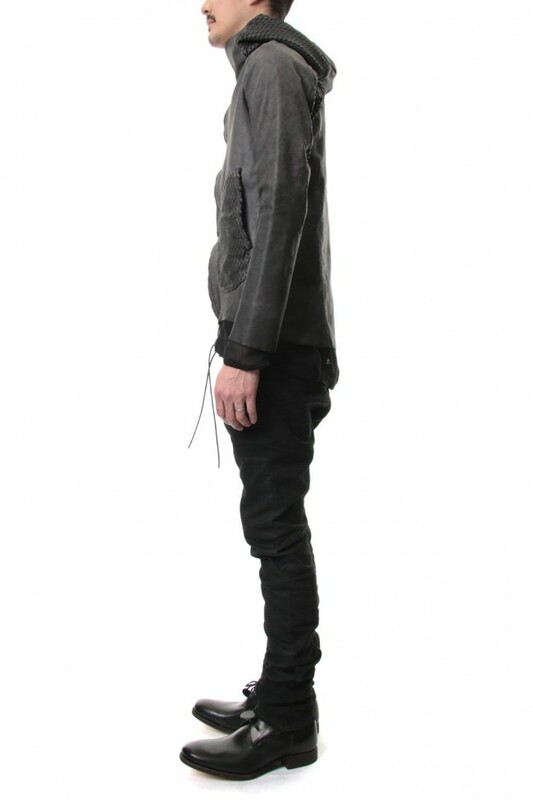 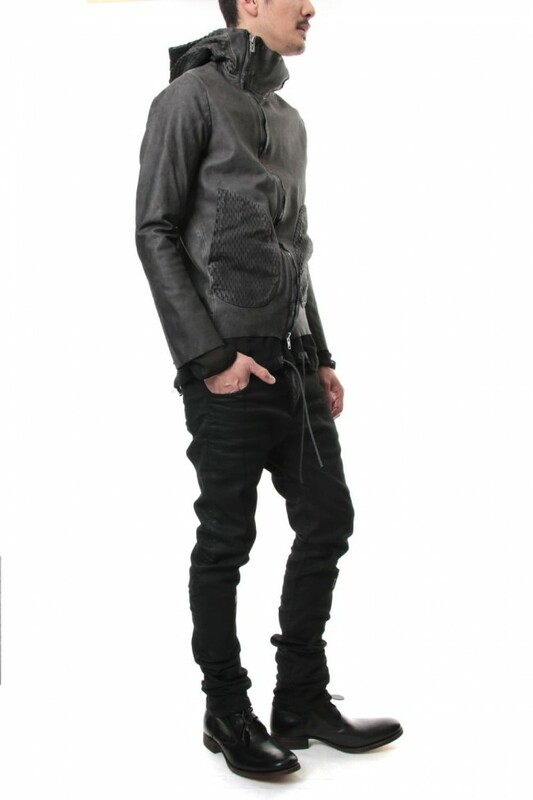 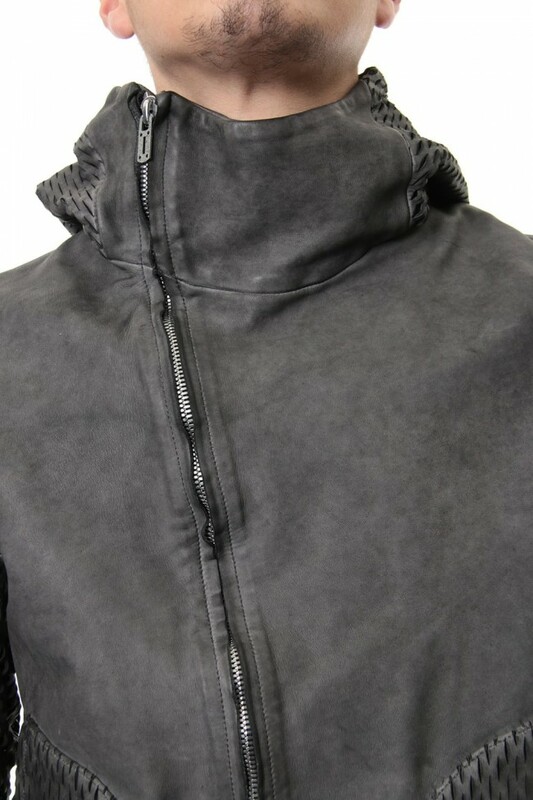 -Bias fastener's high neck hood. 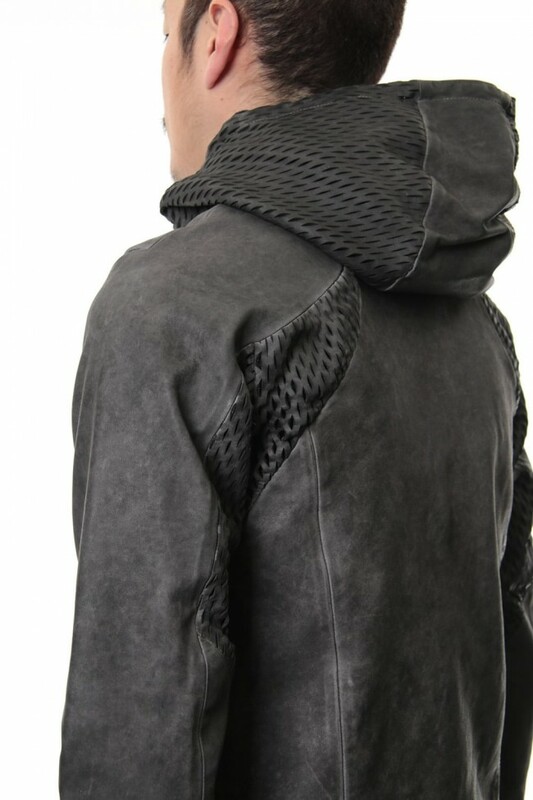 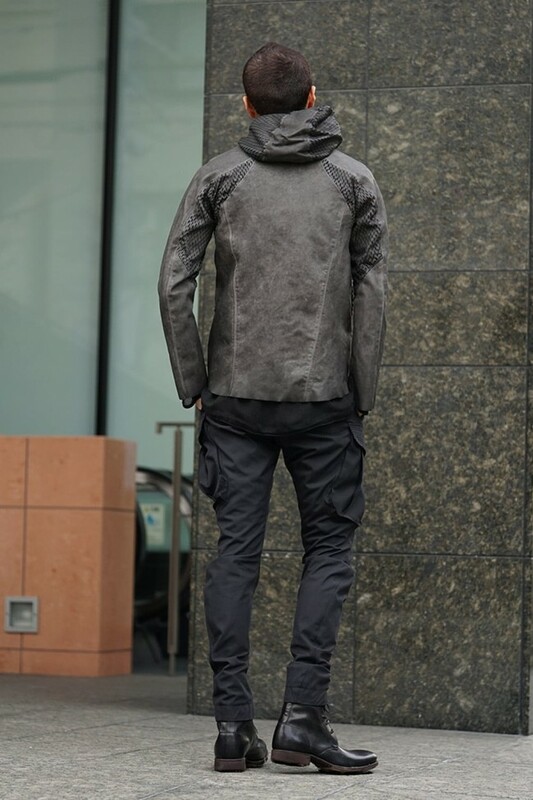 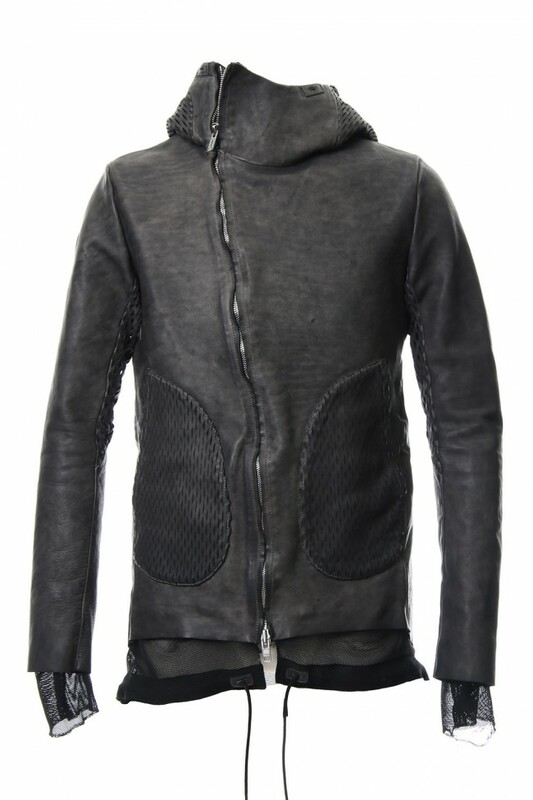 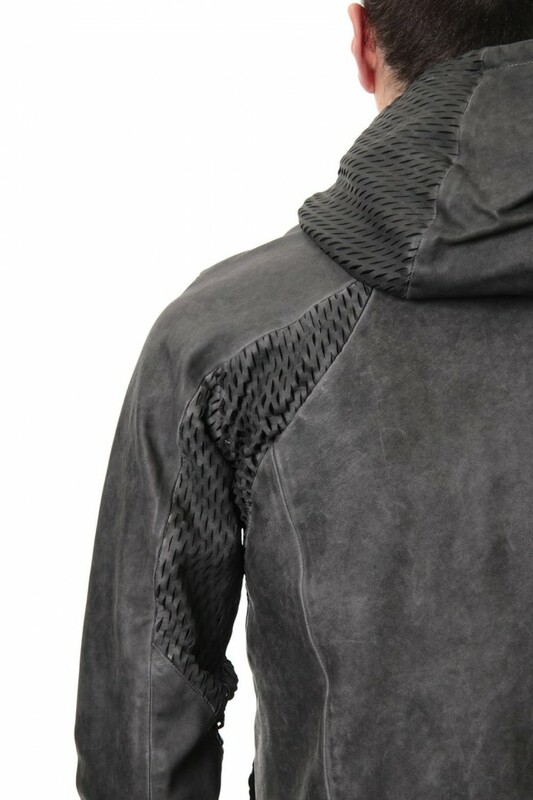 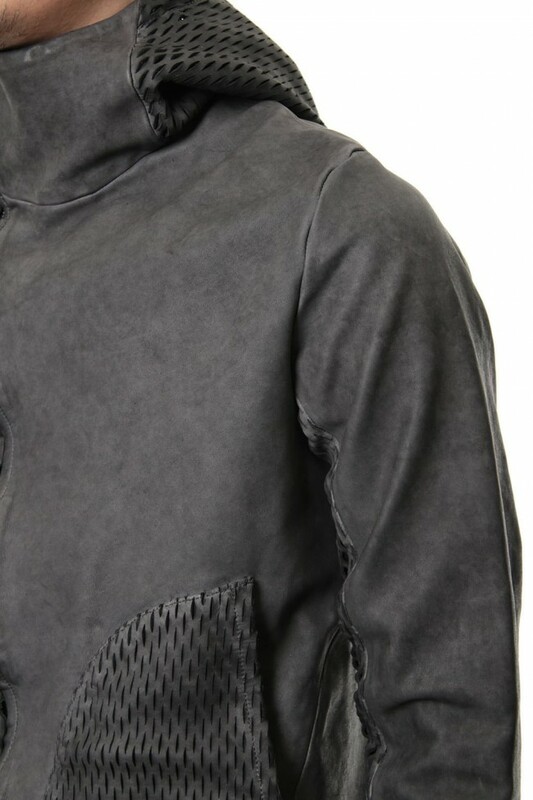 -The hood is made into a three-dimensional shape and finished in a pattern that makes up the volume.